A fantastic sky provides a great opportunity for memorable landscapes. This is a panoramic beach scene from Delaware Bay. Lafayette Square is directly across Pennsylvania Avenue from the White House. It was a lovely spot to make a B&W panorama a few mornings ago in the snow. 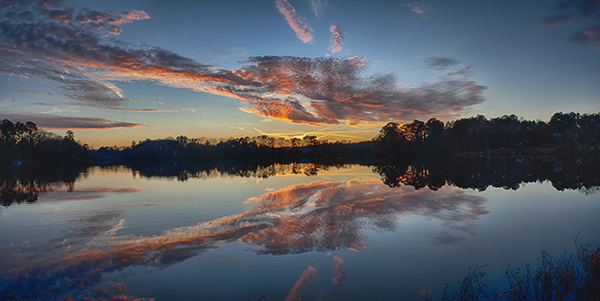 I shot a recent sunset with the idea that the final photograph would be a panorama that showed off the magnificent breadth of color in the sky and water. I think it will be a very nice print.